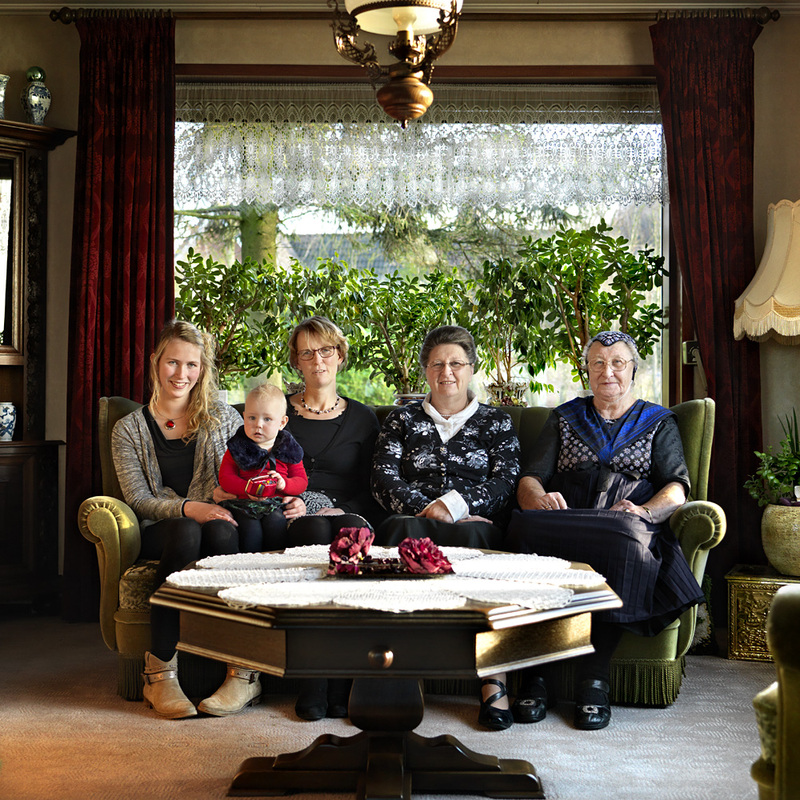 Five generations of women in one family line is a rarity, also in the Netherlands. Although life expectancy is increasing, prosperity and choices related to it have increased the age at which women start having children. To meet the families I drove to Middelburg, Staphorst, Barendrecht, Den Haag, Colijnsplaat, Zwaagwesteinde, Enschede and Zutphen. It was a warm welcome with coffee, biscuits and cake. 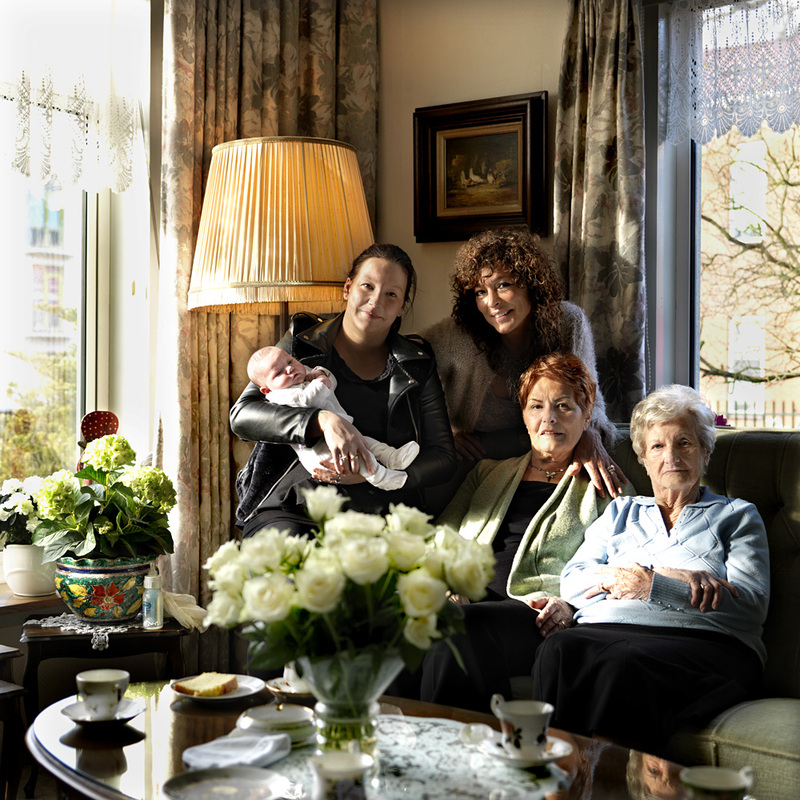 Families that boast five living generations of women are a rarity, and in a small country like the Netherlands their numbers are especially small. But through local news reports and online searches, Marieke van der Velden was able to track down a few of these clans and capture the full extent of their unique achievement in group photos. 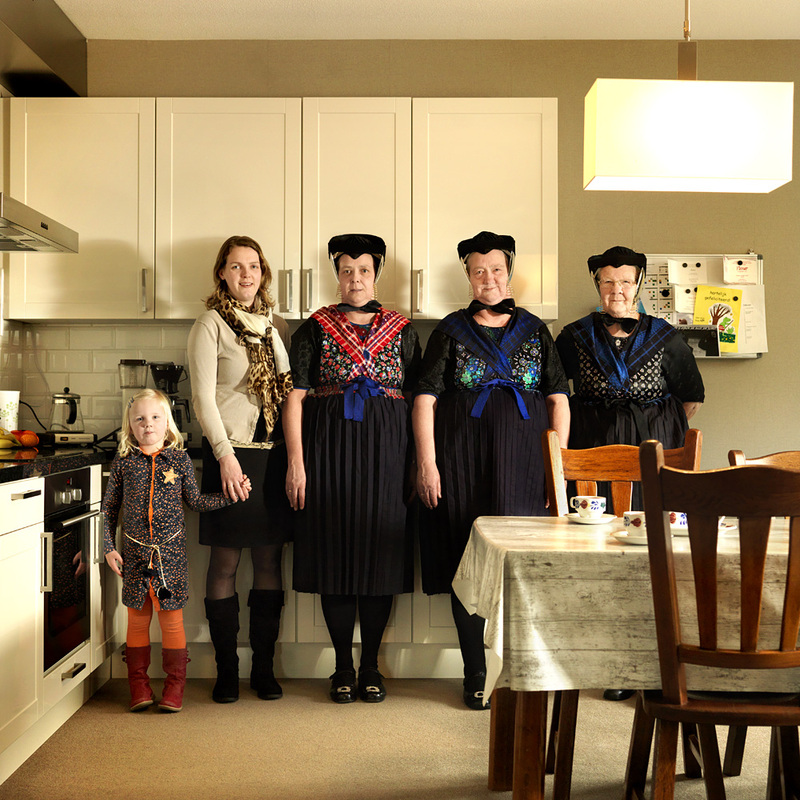 She calls her series “Dutch Matroesjkas,” after the multigenerational Russian matryoshka dolls. “Women are the ones who physically give life to the next woman. I like that idea. It’s the circle of life,” van der Velden said via email. oldest woman. After coffee or tea and cookies, the women gathered together, and van der Velden looked for compositions and expressions that conveyed a sense of family pride. At least one family declined to participate — family tensions had made it impossible for all five generations to meet. In another case, van der Velden contacted a family she’d read about in a newspaper only to learn that the matriarch had passed away just two months before. 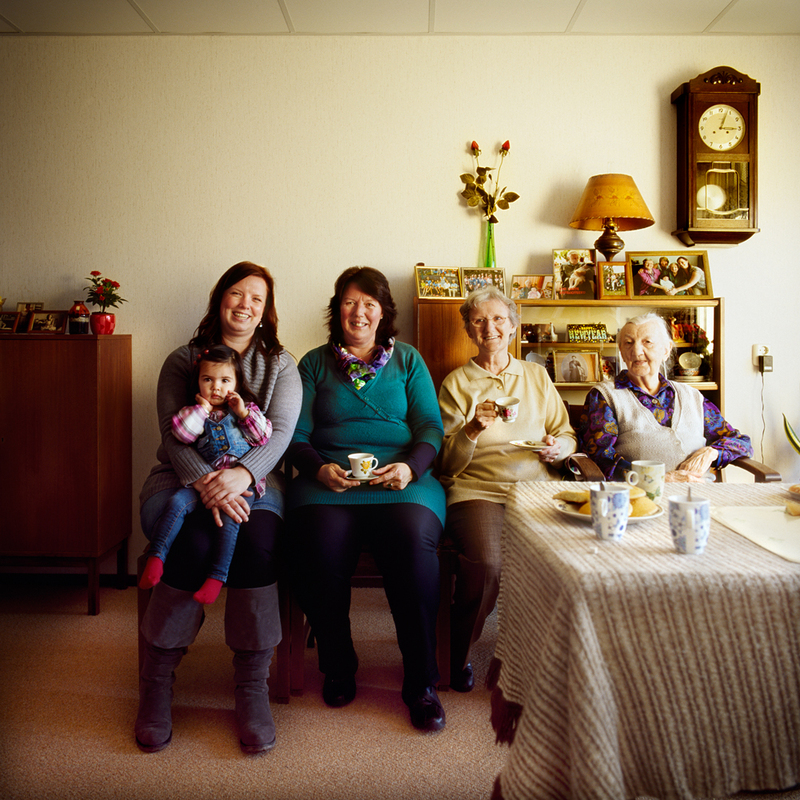 She decided to photograph the remaining women anyway, with the great-grandmother holding a framed photo of the deceased great-great-grandmother, to highlight the transience of this special but ultimately brief phenomenon. “It’s temporary, like everything in life,” van der Velden said.